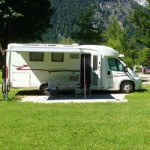 The NCC, with the two Clubs, has been robustly challenging the EC proposal to extend road worthiness tests to touring caravans – the DfT also made representations in Europe opposing light trailer testing. Following several debates, the position adopted by the European Parliament at first reading (11 March 2014) excludes vehicle categories O1 and O2. The NCC is therefore pleased to report the current wording in the adoption of Directive 2014 does not put touring caravans in scope.